Through guided tours, workshops and other events, art education offers visitors to the Kunsthaus Pasquart special encounters with the art exhibited. Observation, discussion and artistic experimentation open unexpected ways of experiencing the exhibitions, at the heart of which is not only the communication of knowledge but, more importantly, the personal experience of art. Building on our programme for schools, our art education for other target groups is continually being expanded wherever possible. 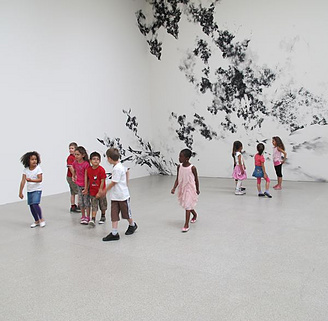 A children’s room situated directly in the exhibition area is available for parents to use. (Please note that there is no supervision). It is equipped with books and games. The comprehensive programme for school classes, children and teenagers is made possible by the generous support of the Stiftung VINETUM. 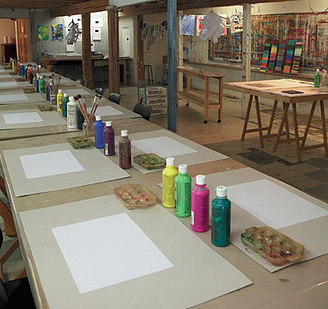 The Stiftung VINETUM supports the Kunsthaus Pasquart in the development of an active art education programme for its young visitors, in order to provide them with access to contemporary art as well as to support their understanding of and to stimulate interest in it.